awa is the meeting of three Leipzigers and a lone New Yorker in a freely improvised setting. Comprised of Gustav Geißler (Alto Saxophone, Leipzig), Zach Seely (Guitar, New York), Noah Punkt (Bass, Leipzig) and Philipp Scholz (Drums, Leipzig), the quartet tends to rely on a light touch, with bursts of concentrated energy that finds each musician carefully taking clues from each other. The end result is a recording that is as sensitive as it is energetic. Clocking in at 30 minutes, the first track 'Frowin' features the group running the gamut from quiet textural playing to kinetic flights. Halfway into the track there is a passage where everything exciting about awa is summed up: light precise drum work punctuates the guitar's fragmented musical sentences, while the saxophone delivers a spritely and complex line of melodic reasoning. Connected by the short track 'onno' the third track, 'rowena', is a 19 minute improvisation that builds from the piercing scrape of the cymbal and the forlorn blues steeped moan of the sax to an intense peak mid-track. The track is a gradual crescendo, the sax driving the first half, until a delightful extended passage where the guitar takes the lead with a rhythmic percussive exploration. Then a melodica or small accordion appears, bringing a new feel and flavor to the closing of the album. 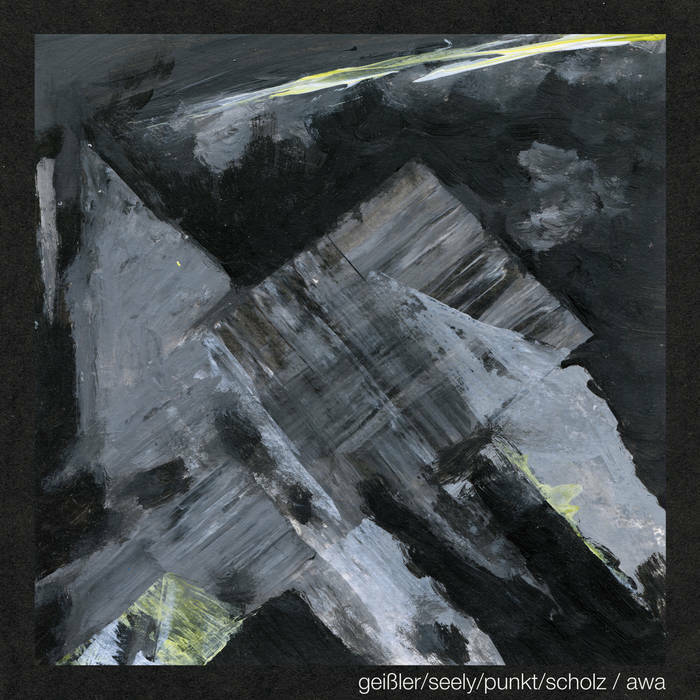 Engaging and filled with new ideas, Geißler, Seely, Punkt, and Scholz's awa is a patient and enjoyable journey through the MBTI musical personality - sometimes introverted and sensitive, sometimes extroverted and intense.